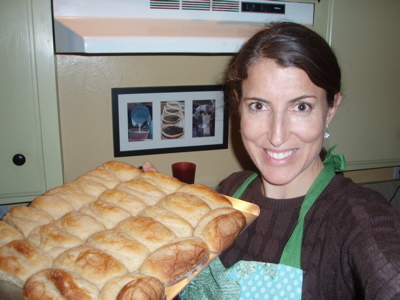 When I think about my favorite tradition for Thanksgiving, it has to be Grandma’s hot rolls. Flaky, buttery goodness, with another dollup of butter and a drop of honey = Thanksgiving happiness. When Grandma passed away, my Mom was up for the task of making everyone’s Thanksgiving dreams come true. We couldn’t have a family get-together without Grandma’s hot rolls. Don’t even think about it. I never really thought about making them on my own. The whole yeast rising chemistry experiment dough thing always filled me with trepidation. But since I wasn’t going to be with my family for Thanksgiving this year, I mustered up my courage, had my Mom on speed-dial, and decided to conquer Grandma’s recipe once and for all. 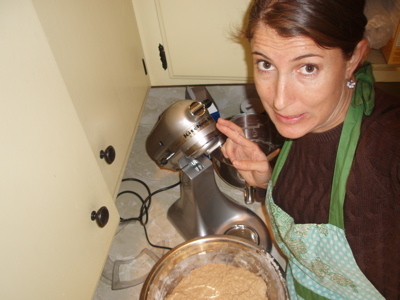 And besides, the only cousin who had attempted to make this recipe was my cousin Mark. The girl cousins need to represent! Step 1. No wonder I like this recipe. 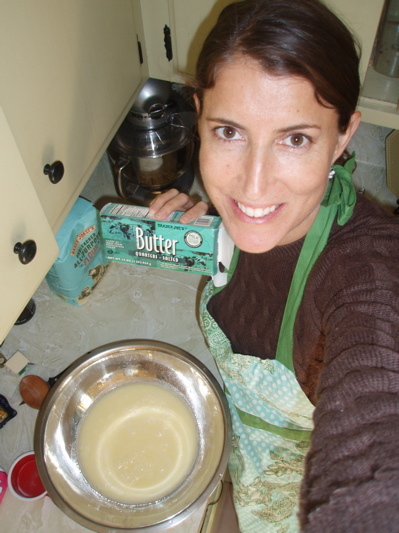 Lots of butter. Step 2. Just added the yeast. Crossing my fingers that this will work. Step 3. 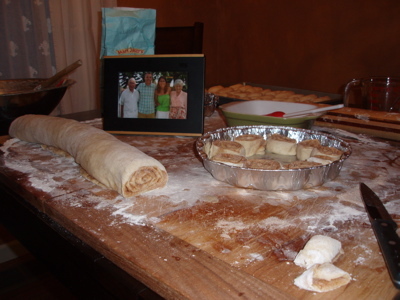 Better put Grandma’s picture next to the dough while it rises. I need all the help I can get! Step 4. Hooray! Success. 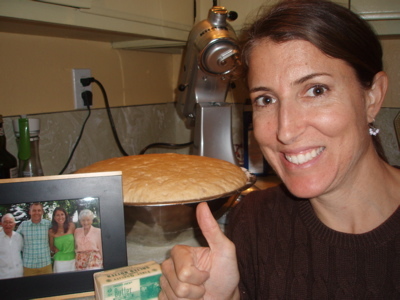 I’d say that dough doubled in size. Now for the fun part. Step 5. 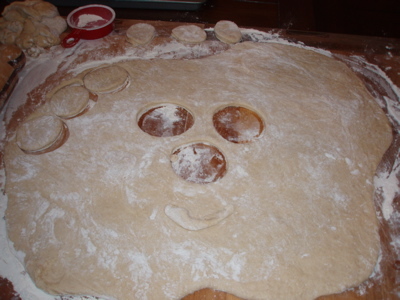 See… even the dough is happy. Step 6. 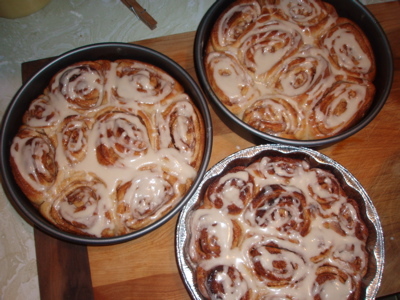 After making the hot rolls, I used the extra dough to make cinnamon rolls. 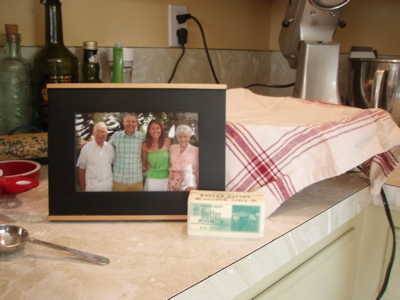 I brought Grandma’s picture in for this step so she can see how much butter and sugar I lathered on. I think she’d be proud. The finished product. Yummy goodness. As usual, LOVED reading the blog on this adventure! WOW!!!! You did it!!! You should be so proud! Everything looked so beautiful and yummy!! Made me drool!! Way to go Marlene! Your grandma would be so proud. So fun to talk with you yesterday!